OT must find many, many ways for people to get involved, to feel that they are a part of a multifaceted movement, one that spans many different forms of expression. In my observation of “Occupy LA”, I noticed that there were a handful of people working their tails off, doing security, media, communications, interface with police… Then, I noticed a larger group, that was doing… nothing much. Not talking, not reading, not marching, just sitting. In creating a movement, it is critically important to keep the participants both engaged and informed. That can and should take the form of internal actions (work details, camp organization, nascent systems and structures like sanitation, energy generation, etc). And, most importantly, engagement can and should be externalized. · Conducting thousands of surveys (Individual, group and “person on the street” interviews). Surveys are very powerful instruments, especially when it is necessary to by-pass the “official” version of events and opinions. 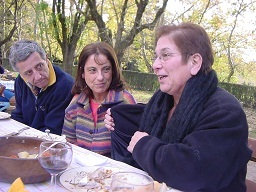 · Facilitating scores of group dialogs (100-200 person “People’s Forums” held throughout the island). These brought people from all walks of life into face to face dialog. They realized that, when the dialog was not being controlled by those who wanted separation, people could come to powerful consensus with each other. · Conducting leaflet and poster campaigns in major cities. · Enlisting support from all religious groups in spreading the word (“Truth-Seekers” ate and slept in churches, temples, mosques and kovils across the island). · Conducting direct village campaigns (taking the Vision Declaration to hundreds of village elders, in both Government and Tamil Tiger held areas). · Informal “street theaters” to dramatize the issues and visions. · “Wild cards”: using opportunities presented by evolving conditions to spread the word. For example: turning long-distance buses into “moving dialog groups”; and using each military checkpoint as an opportunity for education. By taking our campaign out into society, we were able to engage and enlist the support of hundreds of thousands of people, from all walks of life. All of our actions were non-violent, positive and demonstrated the nature of the society that we intended to create. What can the “Occupiers” do to expand the “Occupation” front? I think all of the actions of Sarvodaya’s “Truth-Seekers” are available, in each “OT” city. In addition: I think that OT is approaching the time for “direct action” vision implementation. Protests only go so far: to be effective, it is necessary to show people what the change in society, the change in POWER, looks like. This is what Gandhi did with the Salt March. An act that was highly illegal AND highly moral. This is what the Civil Rights demonstrators did with the lunch counter sit-ins. Highly illegal and highly moral. It’s really hard to claim the moral high ground when you’re threatening to shoot a bunch of unarmed, praying women. And, once the moral high ground is lost, the campaign is over. YOU’VE WON! I’ve seen OT posters asking President Obama to declare a moratorium on foreclosures. Fat chance of that. However, there’s nothing to stop OT from “foreclosing on the foreclosures”. 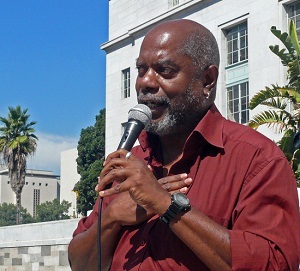 Pray-ins, foreclosure theaters, bidding with Monopoly money, campaigns to withdraw funds from banks that carry forward foreclosures… the possibilities are endless. One bank could be chosen as a target (the way the sit-ins took place primarily at Woolworth’s lunch counters). Different OT cities could try different tactics, to see what’s the most effective. is clearing and developing our own character, understanding and strengthening our own spirit. As the motto from Sarvodaya states: “We build the road, but the road builds us.” Stopping injustice in the world requires us to understand and remove the injustices within our own hearts. 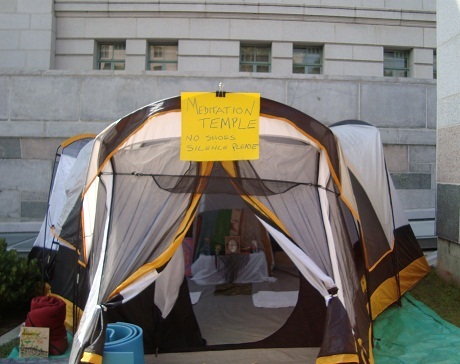 This entry was posted in Wisdom & VISION and tagged occupy together, society, strategies, vision. Bookmark the permalink. Good stuff! I like the idea of “externalizing” the Occupation, but it sounds way too big for me right now. Do you have plans to get on the “stack” to speak at Occupy Portland and start a working group to suggest some special actions to the GA? E.g., a sit in at a foreclosure, etc., instead of a march. This could truly be a moment for your ideas and experience–to add the “soupcon” that can transform all of the Portland/Vancouver area into an example of what’s possible at this incredible historic moment. I’m thinking about trying to start a group to work on using more “Wise Democracy”-related techniques in the GA. But need to spend more time there first, to see and feel how things really happen, which I plan to do next week (minor eye surgery used up this week).